I did a little cleaning and sorting in the basement today. While doing so, I came across an old box of magazines and papers from WAY back. Too funny! But there were a lot of photos and clippings that are to great NOT to share. So here goes. First, this is me back in 1983-84ish in our first house. The living room was tiny, and I managed to cram a quilting frame in it. 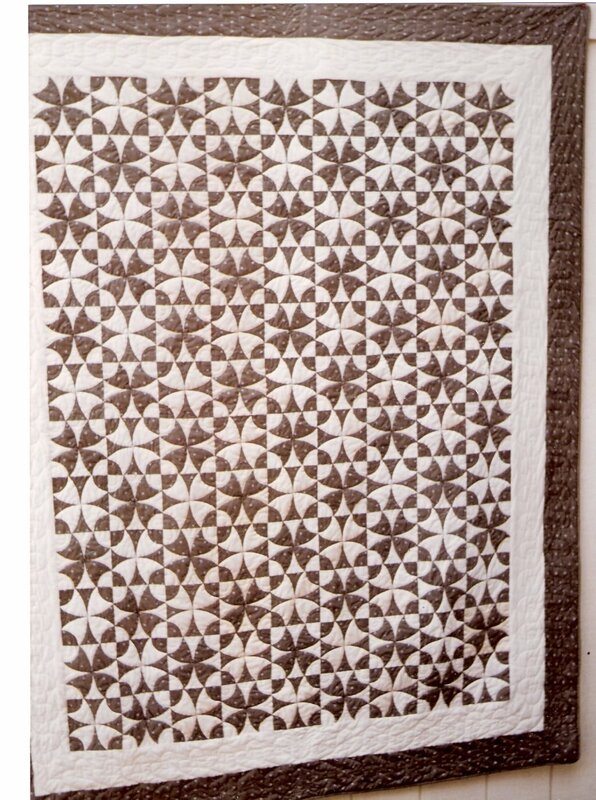 This two-tone quilt, called “Wheel of Mystery – Nashville,” was made in 1982. I ran out of the light fabric and bought something I THOUGHT was it, only to find out the first time I washed the quilt that it was NOT the right fabric. A lesson that will always stick with me! 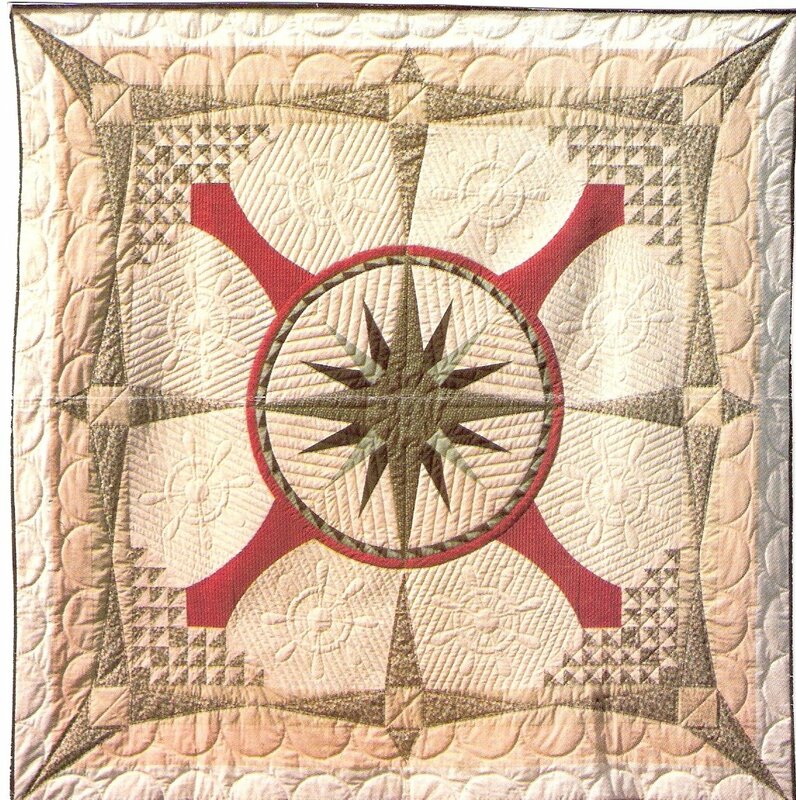 This quilt was featured in the March/April 1983 issue of Quilt World, page 46. It was also entered in the Great Smoky Mountain show in 83, where it got an honorable mention. 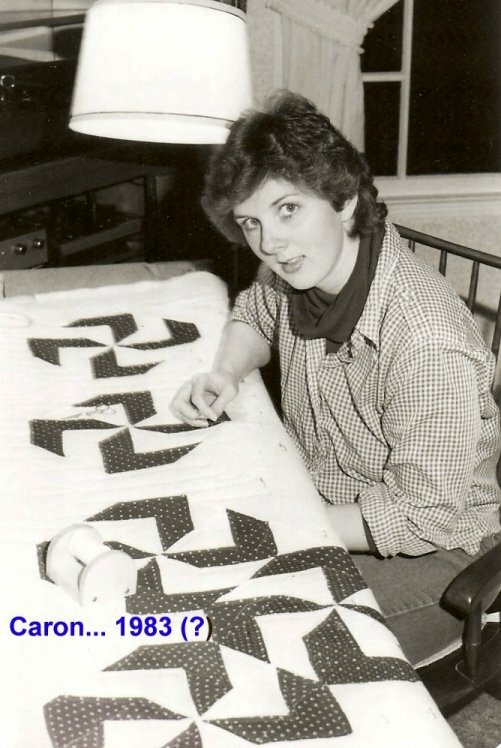 The next quilt has already been shown on this blog, but here is a better photo of it, taken for Quilter’s Newsletter Magazine’s July/August 1984 issue (page 6). 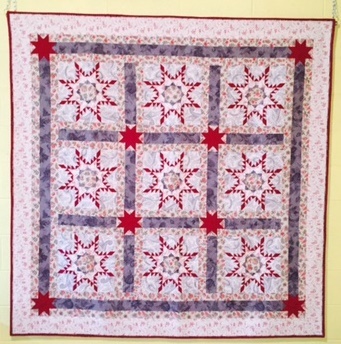 The quilt was made for my dad’s retirement, and is called “From The Woods to the Water.” It is hand quilted. I had forgotten about the next photo. The American Quilter’s Society started publishing their Quilt Art Engagement Calendar at the same time they published my first book. 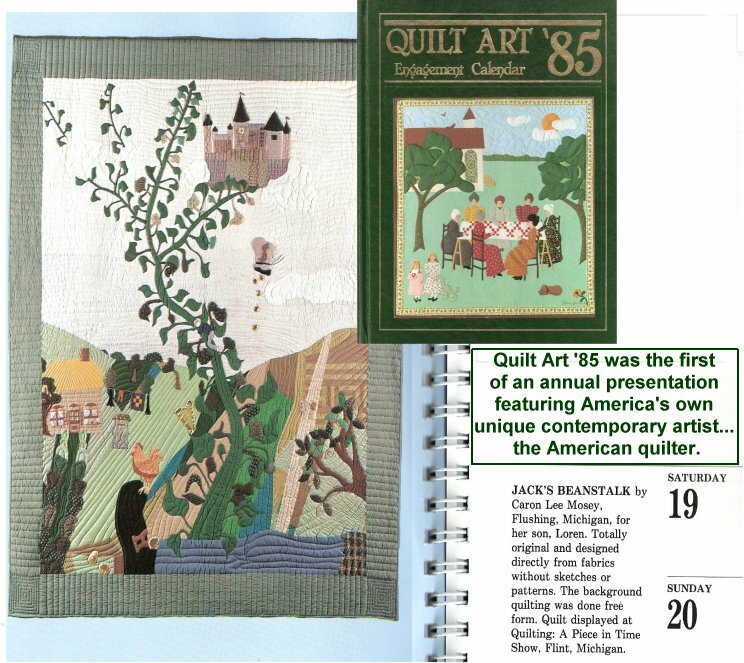 They included the cover quilt from America’s Pictorial Quilts in the calendar. This photo is a montage of photos from the calendar. More later… this is fun!